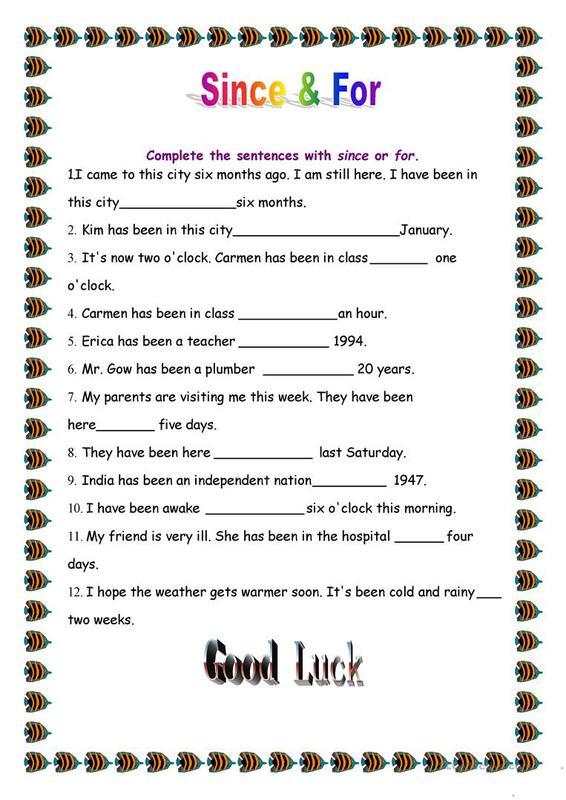 A worksheet about for & since in perfect tense. The present printable, downloadable handout is intended for business/professional students, high school students, elementary school students and adults at Elementary (A1), Pre-intermediate (A2), Intermediate (B1), Upper-intermediate (B2), Advanced (C1) and Proficient (C2) level. It is valuable for consolidating Present perfect tense: FOR or SINCE and Present perfect tenses in English, and was designed for strengthening your learners' Reading and Writing skills.